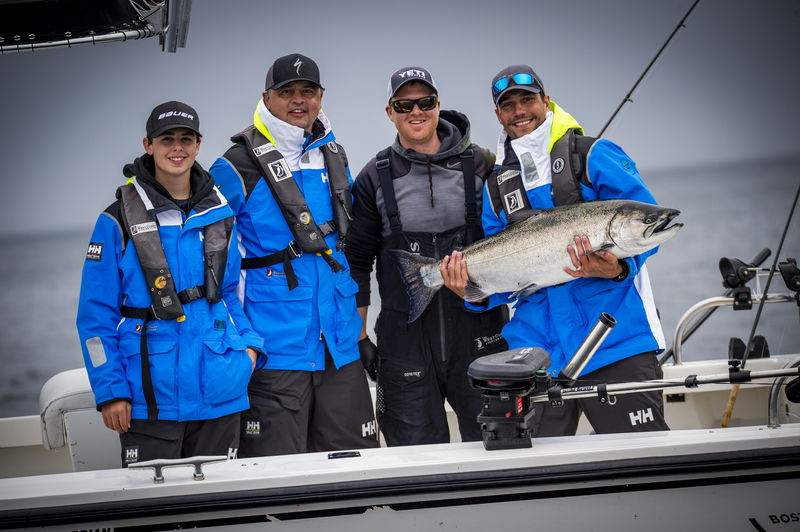 The Fishing for Kids Tournament has come to be recognized as the premier fishing tournament in the Pacific Northwest and is made possible thanks to the generous support of its major sponsors, including Vancouver Canucks, Wheaton Precious Metals, Delta Group, Macquarie, Helijet, Helly Hansen and Cosmopolitan of Las Vegas. 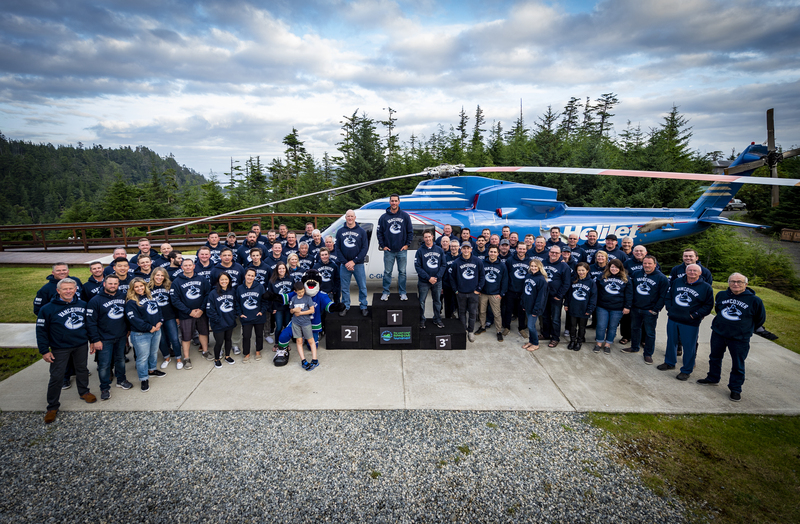 Leading BC companies from a range of industries share a common goal to raise much-needed funds for families and children living with autism in BC. 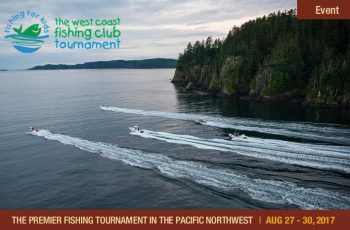 The West Coast Fishing Club is proud to host this annual event amid the breathtaking beauty of Haida Gwaii, and we are even more proud to have contributed over $9 million in tournament proceeds to help BC Children’s Charities. 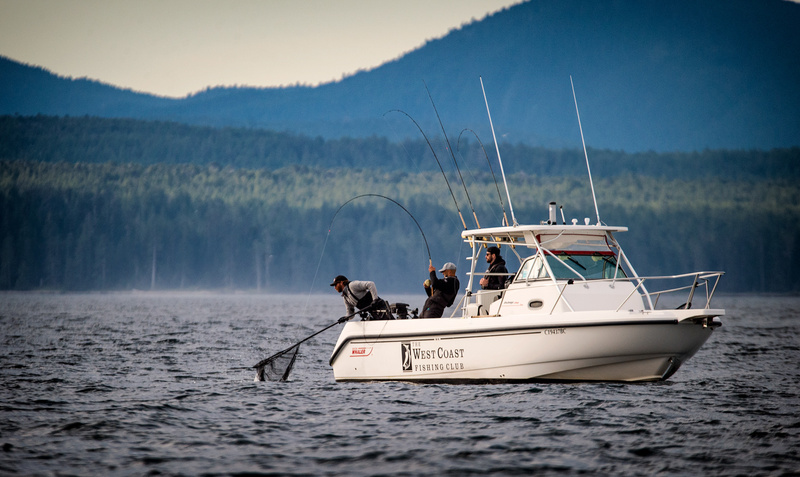 The philanthropy of our supporters, who return year after year and carry on the tradition of giving, symbolizes the true spirit of the Fishing For Kids Tournament. 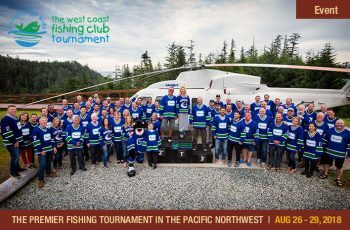 In 2018, the 13th Annual Fishing For Kids Tournament raised over $1,000,000 to benefit Canucks Autism Network. 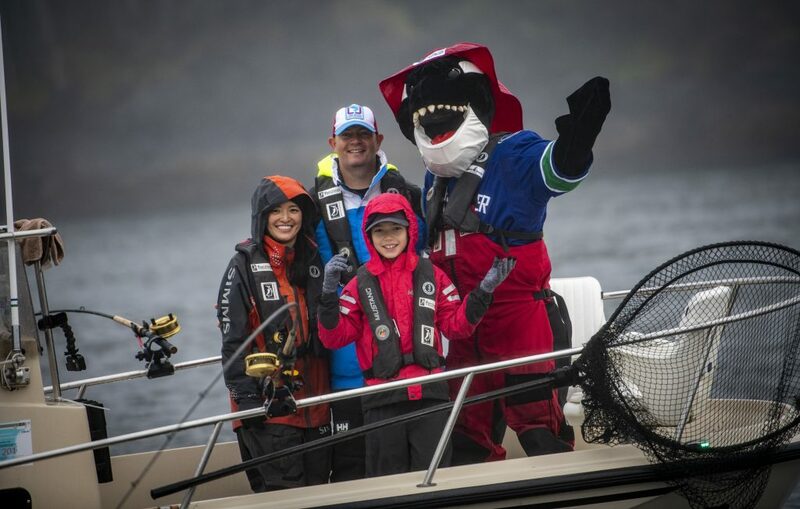 Together with our sponsors, participants and volunteers, we again made a meaningful impact on the lives of children and families living with autism throughout British Columbia. Blake and Travis Green, guide Korey and 2018 FFK Champion, Nolan Baumgartner with a 31 lb tyee. 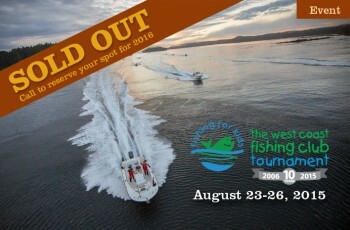 Fish for a good cause and enjoy the magical surroundings in Haida Gwaii. We thank the generous participants, sponsors, Canucks Autism Network and support staff for putting together a great event. Tina, Lee, Champion Child Andrew and Fin enjoying time on the water.